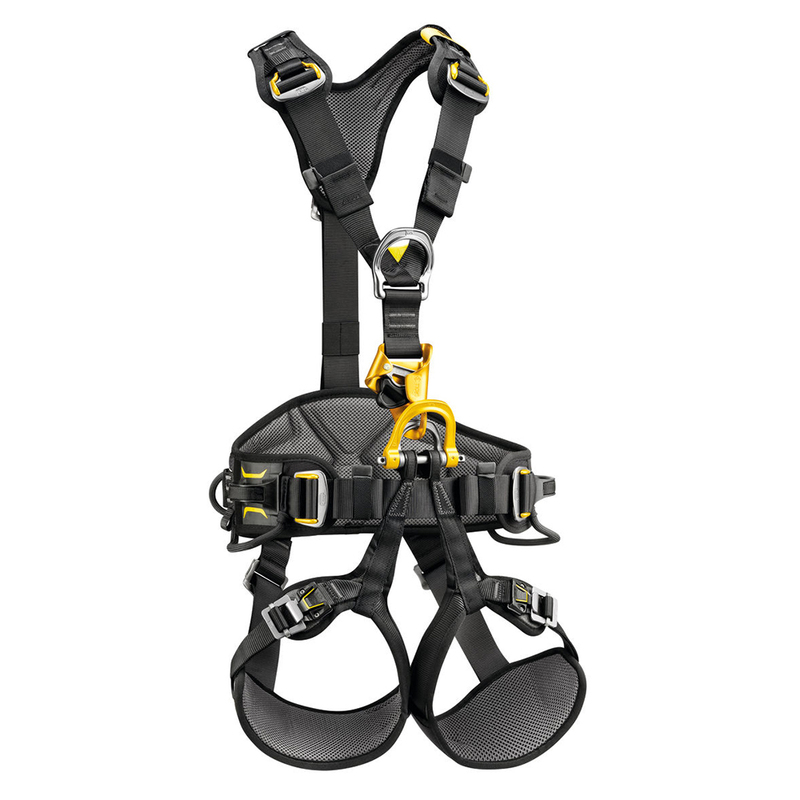 With an integrated CROLL L ventral rope clamp, the ASTRO BOD FAST harness was designed for greater efficiency and comfort during rope ascents. 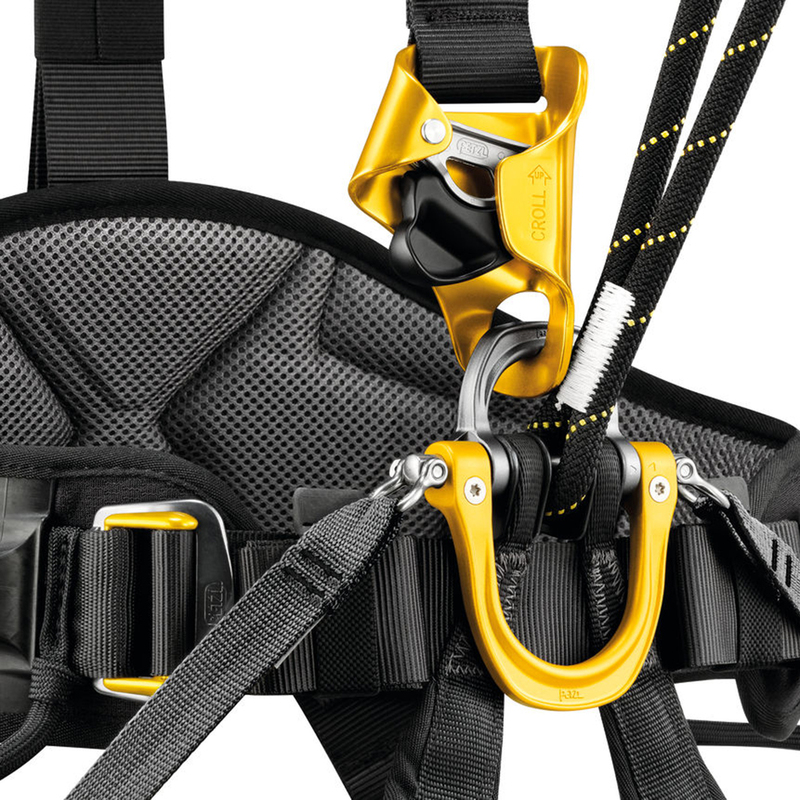 The openable ventral attachment point allows optimal integration of equipment (rope clamp, lanyard, seat...). 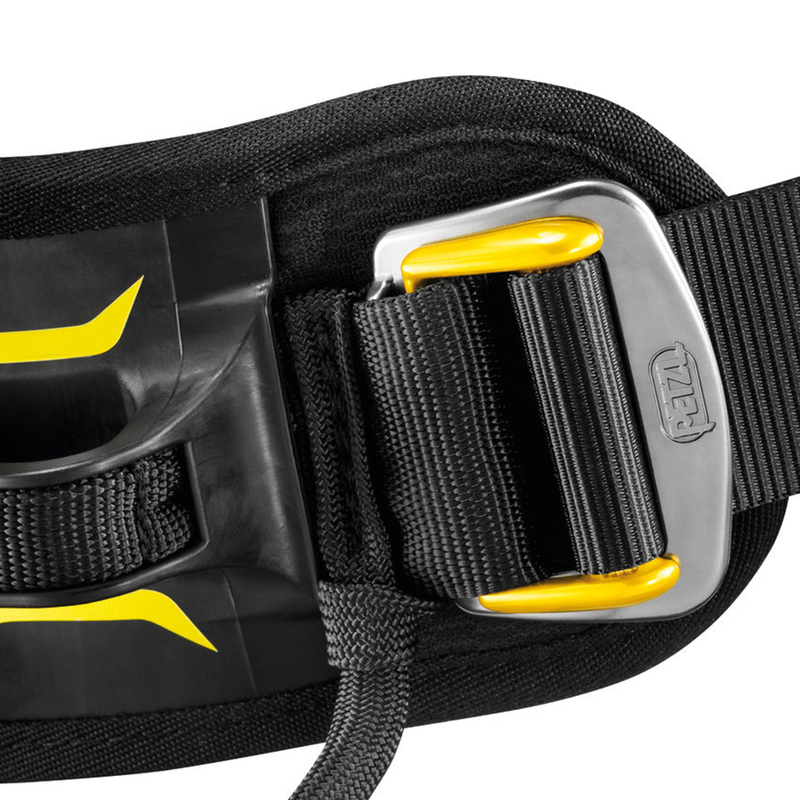 Wide, semi-rigid waistbelt and leg loops give excellent support. 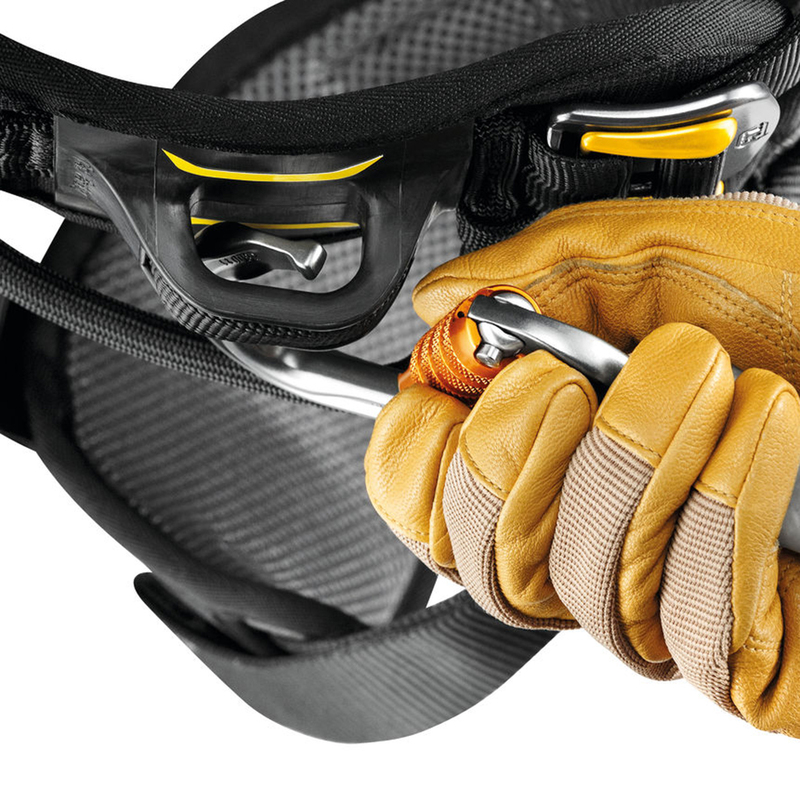 They are contoured and lined with breathable foam padding for comfort when suspended. 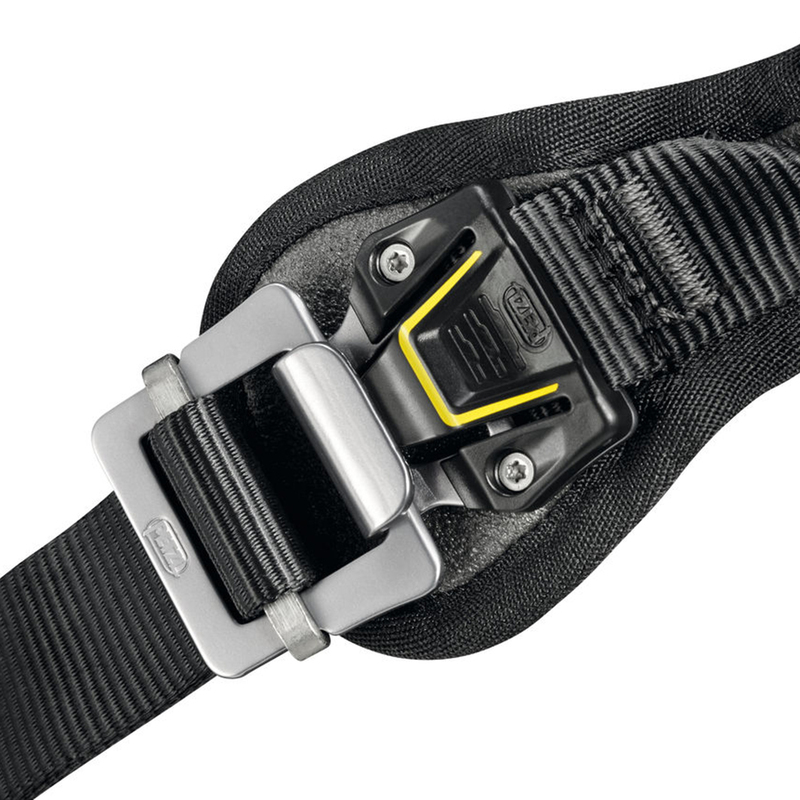 The DoubleBack self-locking buckles at the rear of the harness, between the waistbelt and the leg loops, allow for a shorter adjustment when the dorsal attachment point is used. 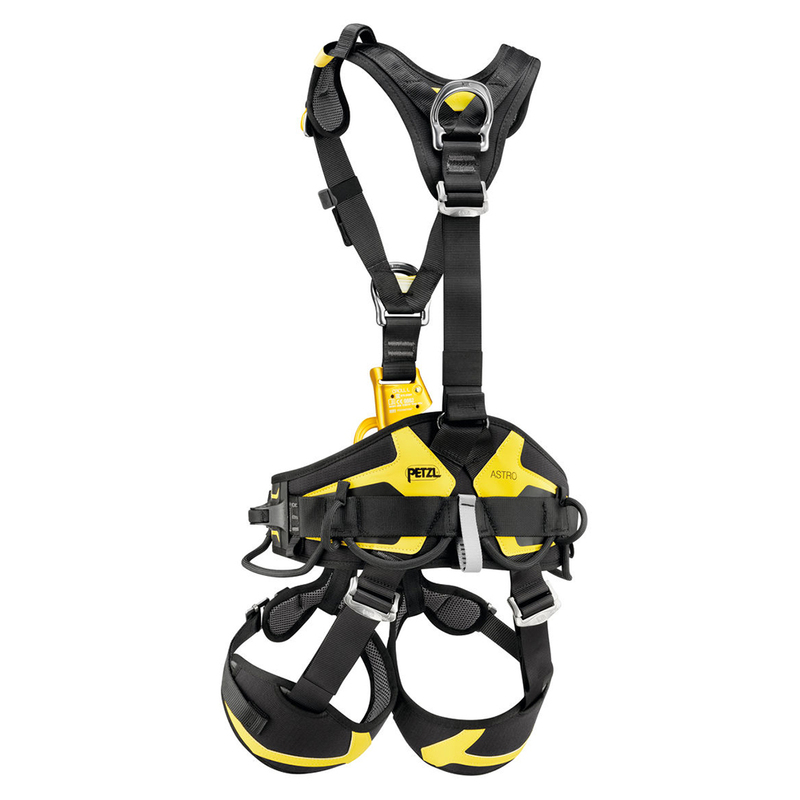 The harness also facilitates carrying and organizing work tools, with multiple equipment loops and retainers for attaching CARITOOL tool holders and TOOLBAG tool-holder pouches. It is certified to European and Russian standards.